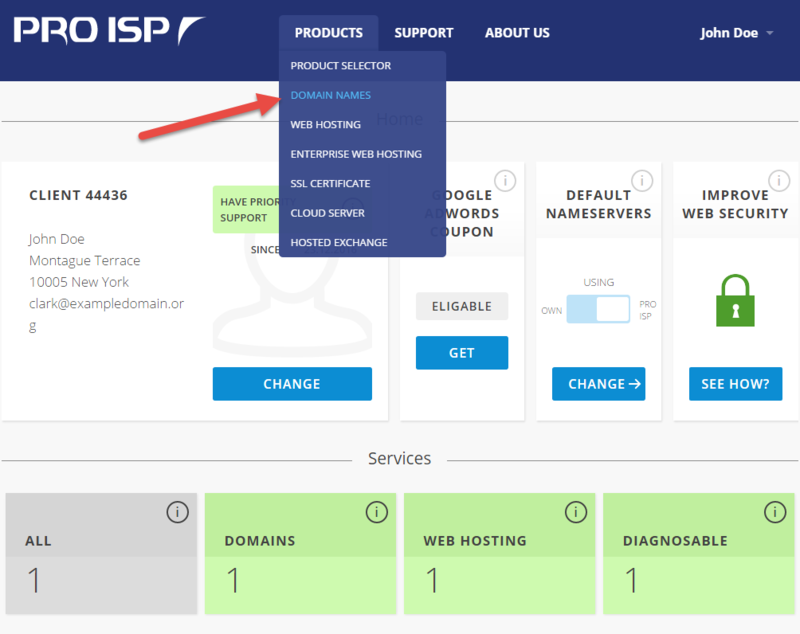 This guide details how to order an addon domain to your web hosting account.This guide assumes that you have already logged in to the customer portal with your customer number.If you wish to change folder for addon domain this guide will show you how. 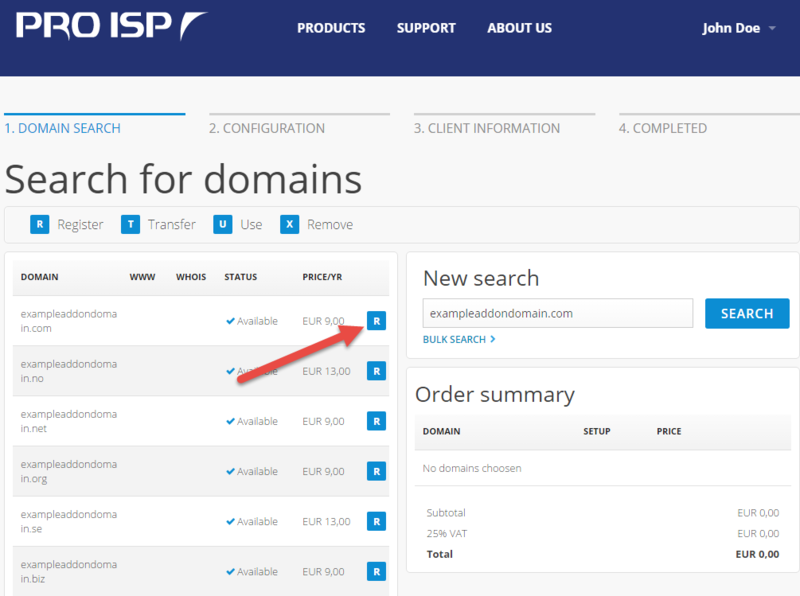 Choose "Domain" under "Products" in the menu. 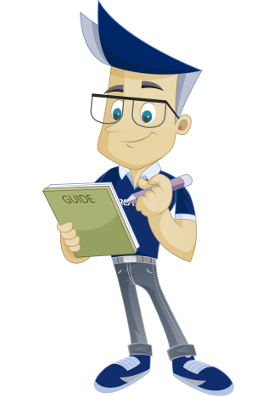 Type desired domain name and click "Search". Then choose "R" on the domain you want. 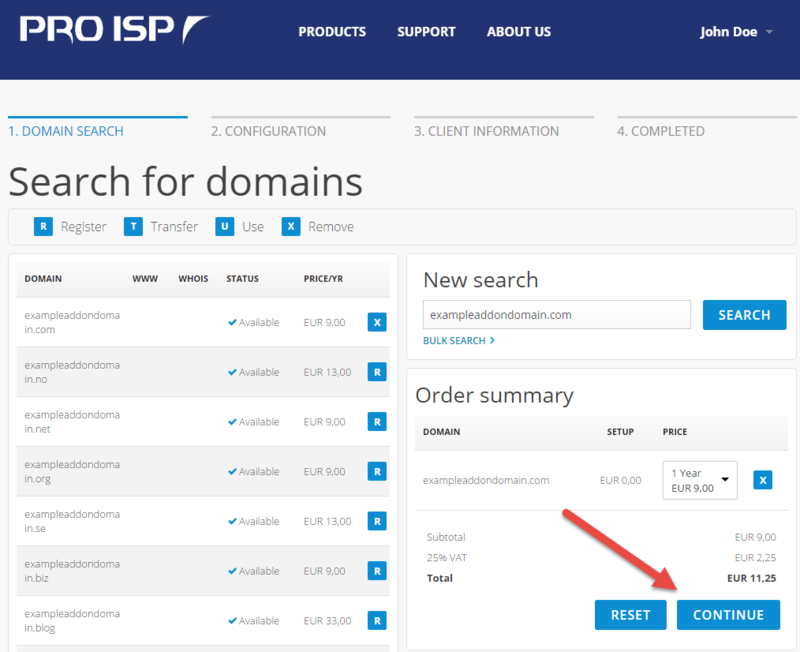 Choose which hosting you want to place the addon domain on. The order has now been completed. The invoice will be sent via email, but you can also pay with credit card or PayPal. 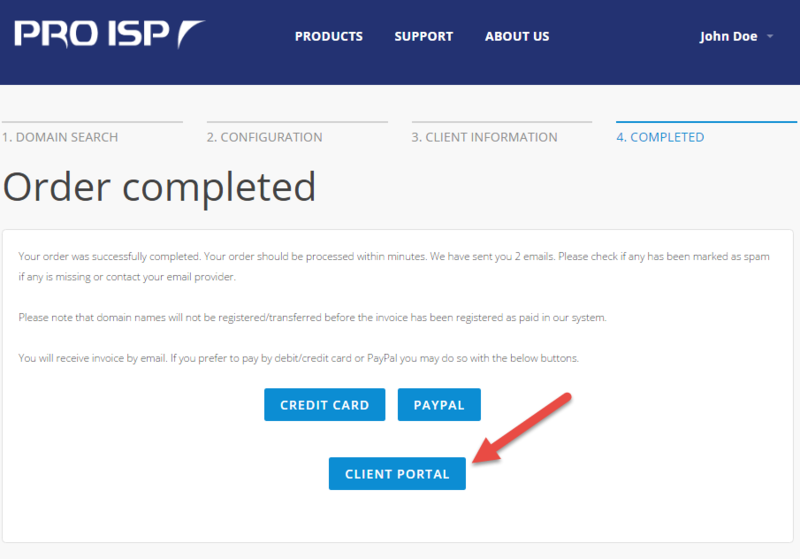 Choose "Customer pages" to go back to your services. 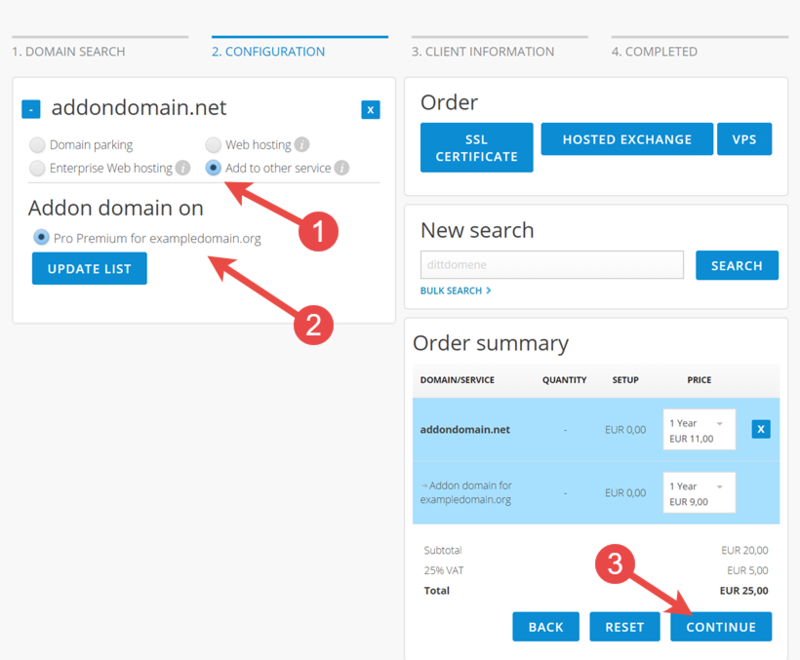 We have now been through how to order an addon domain to your web hosting account.